Sanjay Leela Bhansali known for movies like Black and Ram Leela is busy with his next project Padmavati. The ambitious project stars Ranveer Singh, Shahid Kapoor and Deepika Padukone in the lead roles. Ranveer Singh will be donning the role of the evil ruler Alauddin Khilji in the film. 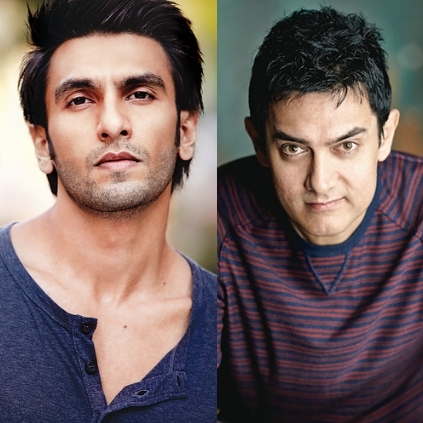 Reports suggest that Ranveer is planning to go the Aamir way as the actor is known to transform into various characters for his different films. Ranveer is ready to walk the extra mile to fully change into Alauddin Khilji. Meanwhile, Shahid Kapoor during the recent Jio MAMI festival said, "The film has 3 principle characters. It's not a dual hero subject and these rumours are just ways of creating some kind of material which is exciting." Pulimurugan to have a sequel? People looking for online information on Aamir Khan, Ranveer Singh, Shahid Kapoor will find this news story useful.